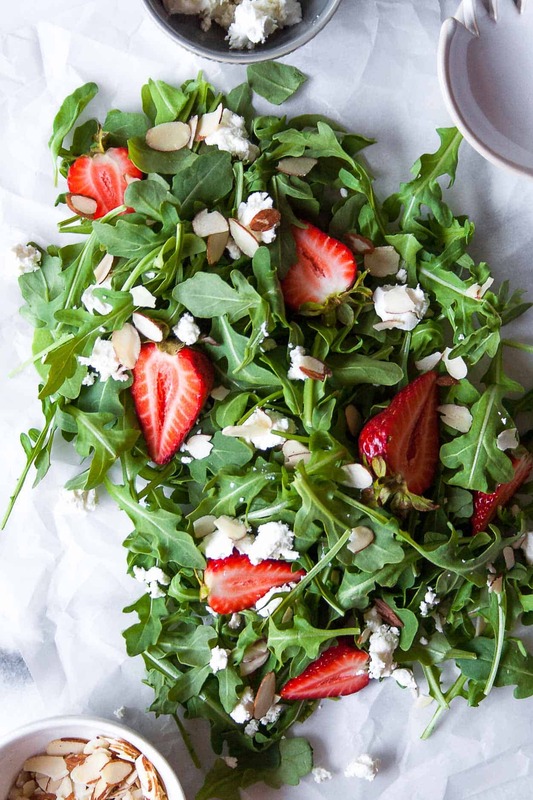 This strawberry goat cheese salad is the perfect addition to your next summer BBQ! 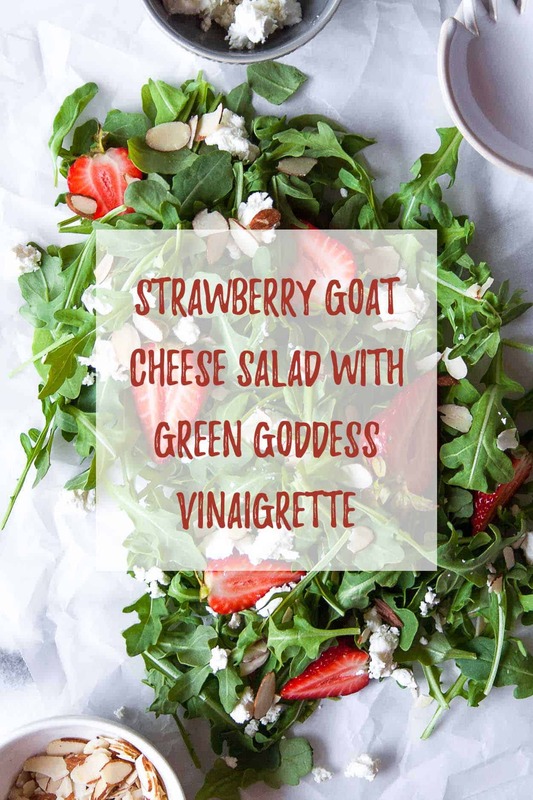 Topped with an easy homemade green goddess vinaigrette, this salad will be the star of the show! I mean, we had 3 days in a row of 90+ temps in Chicago so yea you can say it’s definitely here. And to celebrate, a few friends and I are putting together a virtual summer BBQ with all the goods. We’ve got drinks, apps, mains, sides, and desserts! Pretty much anything you could ever want. Except maybe being together in real life and actually having a BBQ! Ease. 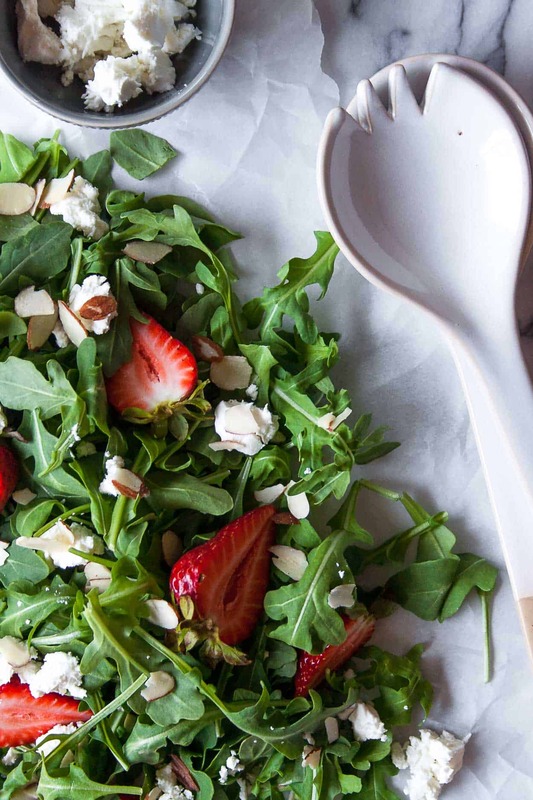 Salads are easy to make at home and easy to transport (this is so key). And if necessary, you can throw it together once you get to your destination. Plus there is no oven involved. Easy peasy. 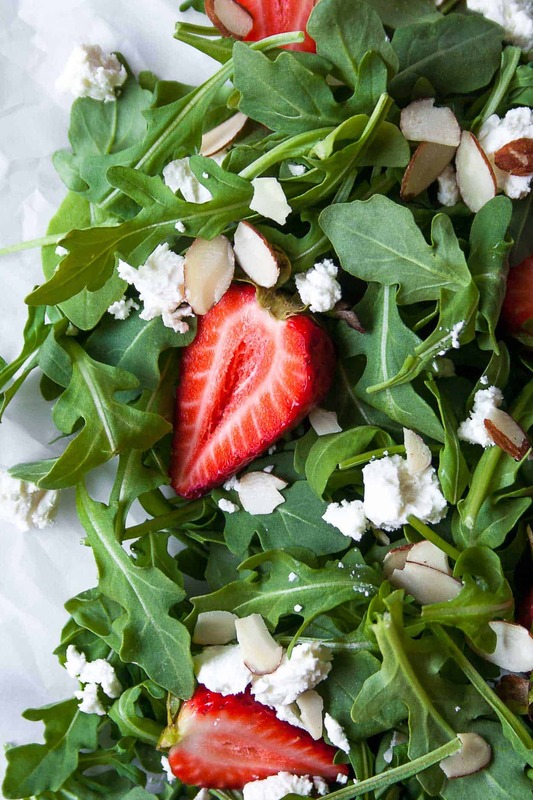 This strawberry goat cheese salad is my go-to all summer long! This salad hits all the flavor notes and textures. 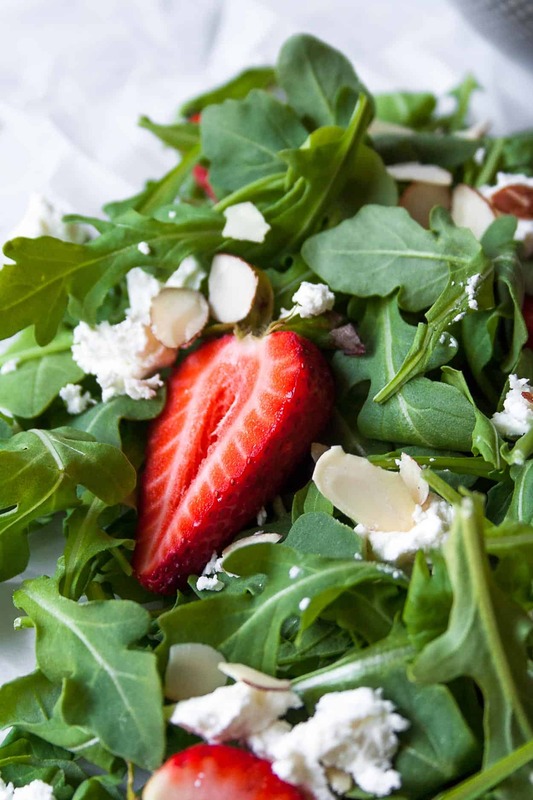 There is peppery arugula, smooth and creamy goat cheese, sweet and juicy strawberries, crunchy almonds, and silky green goddess vinaigrette. And it pairs seriously well with all of the other recipes shared below! 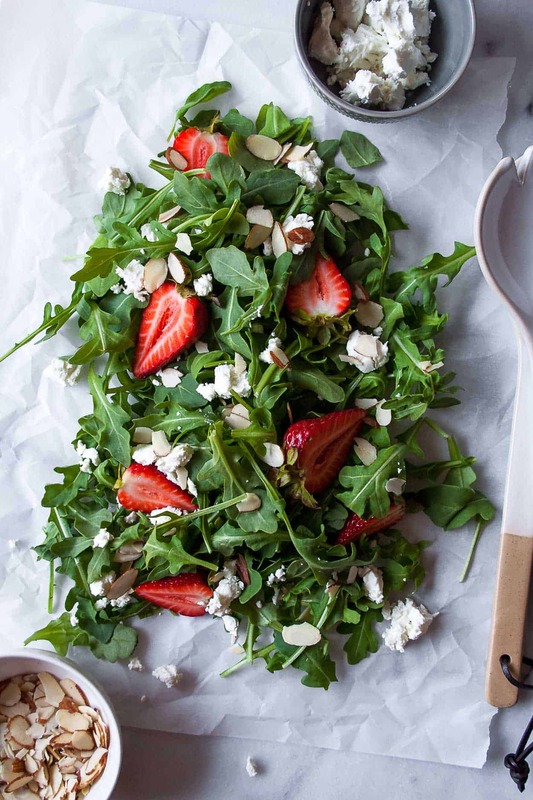 Make this Strawberry Goat Cheese Salad for your next BBQ and post a picture on social media! Make sure to use the hashtag #imhungrybynature for a chance to be featured! In a food processor, combine olive oil, avocado, red wine vinegar, cilantro and parsley. Salt and pepper to taste. 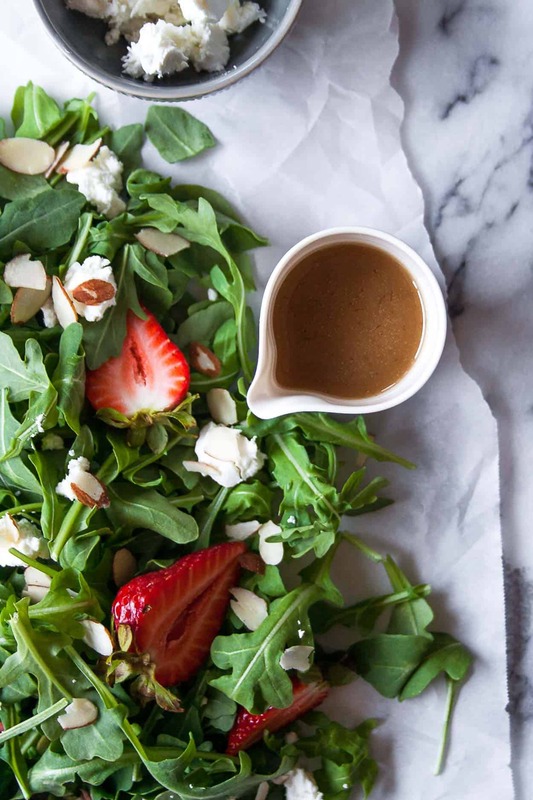 In a large bowl toss the salad ingredients with the green goddess vinaigrette. Bring to your summer BBQ! Happy Summer – make sure you pin this for your next BBQ!